What is the African weight loss tea? The African red tea or as we believe to be the miracle weight loss tea has the official name of Rooibos tea and a scientific name of Aspalathus Linearis. The African red tea weight loss name translates to “Red Bush” and is grown in South Africa. It is considered to be a herbal red tea weight loss that holds natural benefits from natural tea leaves. The main part of the tree that is used to make the tea is the leaves. The tea leaves are fermented to enhance the flavor of the tea, but there is also the “green” red tea which doesn’t go through the fermentation process, it gives a lighter taste and color when saturated with hot water. In this article, we will point out many methods of drinking the red tea, the top 10 health benefits that the tea provides, and how the tea helps you lose weight in a healthy natural way. The African red tea is widely consumed by the South African people but is now gaining popularity from many countries because of its properties, especially how it can help you lose weight. The dried leaves of the tea when mixed with water give a light red or dark orange hue with a delicious fragrant taste that is unique and enjoyable. The African red tea can be consumed in many methods similar to traditional English tea, each method gives a different taste and feel to the tea, but all provide the same amazing health benefits. Here are 4 simple ways to drink the African red tea. The classic way: Simply brew the tea with almost boiling water for five minutes and drink hot. By brewing the classic way you are tasting the tea for what it really is, enhancing the flavors with a warm touch from the hot water. Add Milk: By simple adding milk to the red tea will help make the tea creamier and will give the tea a softer taste. This can be done both with hot or iced tea. Cold Tea: The red tea can also be consumed with ice, cold tea will give your body a refreshed boost. Add lemon: By adding lemon to the red tea, both hot and cold, will help wake your mind and body and also provide your body with vitamins and acidity from the lemon. There are many more ways to consume the tea, but these are the top 4 ways that can easily be done at home. The African red Tea weight loss: Top 10 Benefits that help improve your health. What is better than enjoying a nice cup of the beverage without having to worry about your calorie intake? A liter of red tea is only 8 calories, where a liter of pop is over 400 calories, that’s ¼ of the average recommended calorie intake per day! You can slowly introduce red tea into your daily life until the point where you don’t need the sweet drinks anymore, your health will show the results of a healthy lifestyle. The best of all is that your weight will also start to decrease without any need for diet pills or an unhealthy method of losing weight. The African red tea holds many antioxidants that naturally help protect the body from free radicals and helps improve the body immune system. Some Antioxidants found in red tea include Polyphenols that are anti-viral and anti-inflammatory natural chemicals, this is an antioxidant that is one of the most effective antioxidants that help repair and protect the immune system. Aspalathin is another antioxidant found in red tea that is also anti-viral, protecting the body from viruses and other free radicals. Overall, the benefits of antioxidants will help the immune system filter out bad chemicals and free radicals easily, giving a detox effect, and enhances cell metabolism that will protect your body from cancer cells. 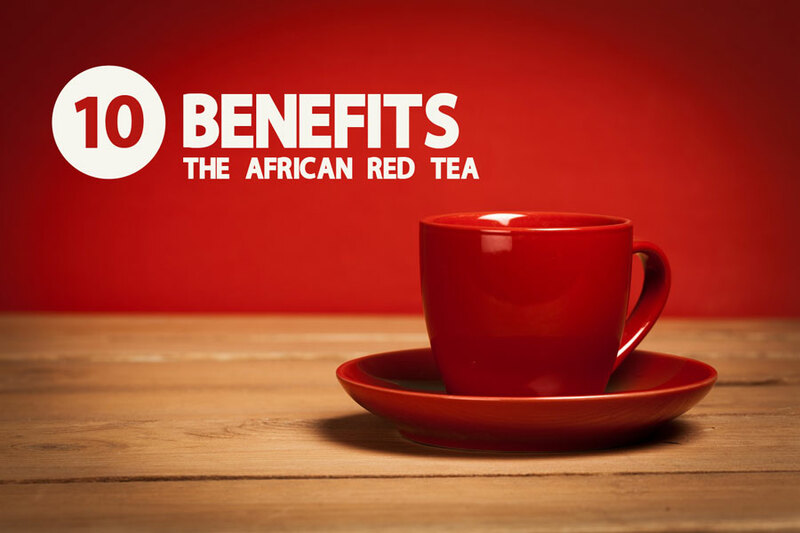 The African red tea has a naturally sweet taste that comes with the tea. It is perfect for those who have a sweet tooth as it will provide you with a sweet taste without the calories and health risks of consuming sugar. Sugar is the leading cause of obesity that leads to life-threatening diseases such as diabetes, cancer, heart disease, and more. The African red tea is caffeine free, making it essentially safe for those who cannot take caffeine or for those who want to avoid caffeine. People who should avoid caffeine include those with Heart issues, depression, anxiety, sleep paralysis, bone aches, sleep deprivation, and other health issues. It is best to avoid caffeine as it can risk worsening or triggering many health problems. 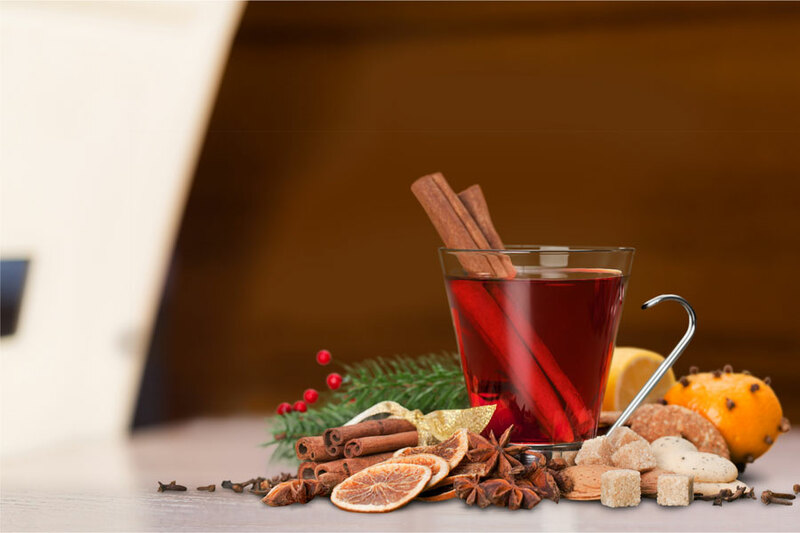 The red tea is an excellent alternative for those who want to enjoy a delicious drink that is natural and caffeine free. Too much tannin can cause an interference to the body in absorbing some nutrients. Tannin is a natural component that is found in classic tea’s such as English tea, black teas, and green teas. The red tea is free from oxalic acid, which is one of the main causes of kidney stones. Those who already suffer from kidney stones should avoid oxalic acid at all costs to not risk any more kidney stones in the body system. The red tea is a perfect drink that is an alternative to other drinks with oxalic acid. Helps regulate Glucose levels in the blood. This quality is held in the unfermented red tea, where the tea consumed will naturally, thanks to the chemical named aspalathin, help regulate the glucose level in the blood by boosting the metabolism of your body. This results in protection from diabetes and obesity from bad glucose regulation. An unknown fact is, when glucose levels in the body are not stable, they cause mental effects of cravings for foods, including sweets, resulting in constant hunger, in the long term your weight increases without you even realizing. If you are feeling this way all the time, this might be the issue that your body is dealing with. The African red tea will surely help in regulating and balancing the glucose levels in the body with aspalathin resulting in less hunger, a better diet, and finally, weight loss. Stomach: The red tea is filled with antismodics, this helps boost potassium functions in the stomach, resulting in a better digestive system and reduces cramps. A better digestive system will result in better weight regulation. Breathing system: The red tea improves air flow to the lungs and makes breathing easier and better by causing the tubes found in the lungs to dilate better. Its recommended for people with allergies to have some red tea daily for a better breathing system, especially if you have to face your allergies on a daily basis. Bone and teeth: The calcium, fluoride, and manganese that is found in red tea helps make bones and teeth stronger. It also helps in the body functions of maintaining and protecting your bones and teeth from losing its strength. Hair and Skin: The red tea is rich in zinc, potassium, copper, and other nutrients that fight the aging process and hair growth. Your skin will age slower than before after consuming red tea along with fast-growing long healthy hair. One main risk for those who are overweight is heart disease, the red tea can help. The red tea has antioxidants that work directly in decreasing the bad type of cholesterol which is a low-density type of lipoproteins. This type of cholesterol if not taken care of will result in heart diseases that can lead to death from heart malfunctions. This is another reason why the red tea is one of the most fitting tea’s and health-boosting beverages for those who want to regulate the weight of their body, it will regulate glucose levels, fight cancer cells, gets rid of cholesterol while having almost no calories and gives a naturally sweet taste. The African red tea is a natural herb rich in antismodics that acts as a soft laxative that doesn’t destroy your natural digestive system. After you drink the tea, your digestive system will function better as you continue to take the tea, and so will your weight and overall health. The tea will give you an easier trip to the bathroom without any stomach pains from cramps like digestion pills and will also help in getting rid of any bloating from excess gas in the digestive system similarly to peppermint tea. 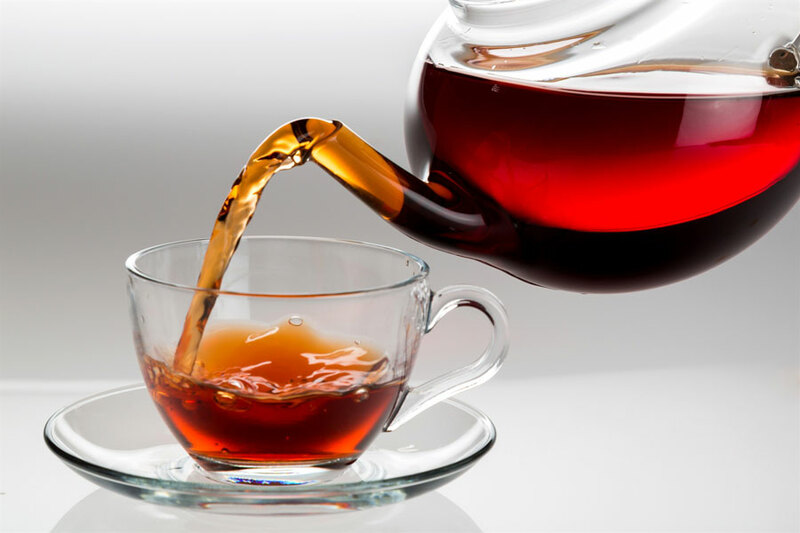 Here are the top 10 benefits of the African red tea weight loss, the main answer to you now, is that it’s definitely time to drink the red tea every day for a healthy body and mind while losing weight along the way. 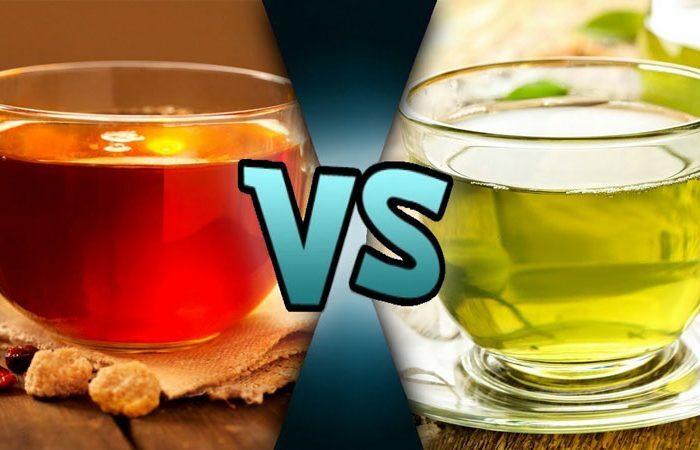 Red Tea Vs Green Tea: Which One Should You Be Drinking?